With brown cardboard packaging and a record label with a Chicago address, listeners might suspect another Tortoise-inspired project. 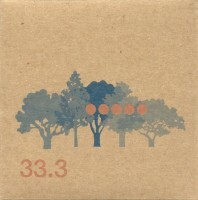 33.3’s self-titled debut is, well, exactly that. The instrumental trio of guitar, cello, and drums doesn’t break any new ground, but I don’t think it was ever their intention. Making beautiful, relaxing modern music is. Opening song “Miles” features the cellist Dominique Davison plucking the strings like an upright bass as well as playing with the standard bow. Brian Alfred’s minimal guitar lines are obviously inspired by eloquent Chicago players like Doug McCombs, Dave Pajo, and Bundy K. Brown but do little to diminish the overall impact of 33.3. 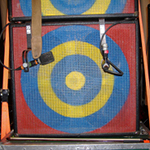 The highlight belongs to Steve Wall’s vivacious drumming, which fleshes out the skeletal parts of the CD. Originally published in the Orlando Weekly on July 22, 1999.